The Standard rooms are not really what you would call a regular hotel room. 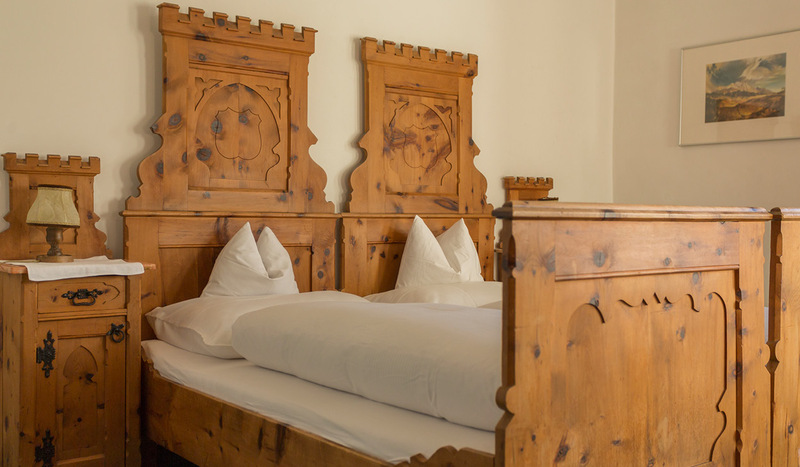 Here in this rustically furnished double room, you feel the great tradition of the house in every corner and can enjoy the atmosphere of an authentic Tyrolean institution. 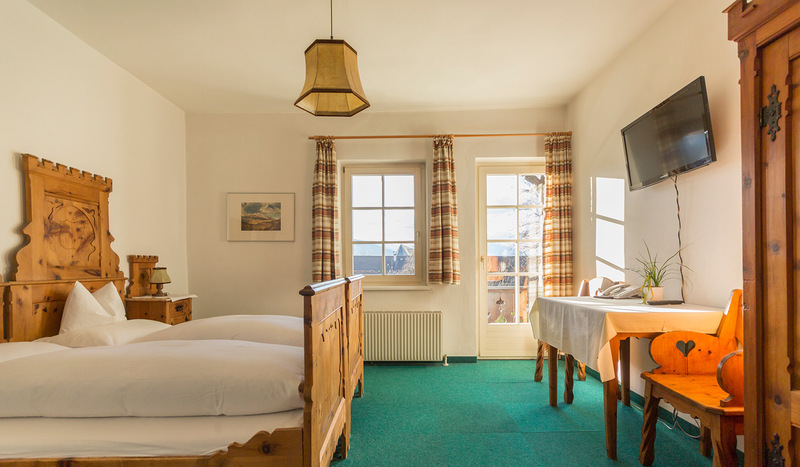 All rooms have a shower and toilet, plus cable TV facilities, and reveal beautiful views over the mountains from the bay window or balcony. The prices are quoted per person per day, including all taxes and fees. Check-in: 13:00 until 22:00 / Check-out: until 11:00.